Perched on a steep dune and embracing surrounding forest views, this peaceful 2,300 SF weekend home is designed to delight the Modernist sensibilities of its inhabitants. A split-level plan, with attached garage located a half level below and guest rooms a half-level above the main floor, allows the owners to ascend the steep dune by car and minimizes stair climbing. Cantilevered from the hillside to minimize disturbance to the site, the thoughtfully proportioned home is composed of three interlocking volumes. In the middle, a glass pavilion with sunlight-dappled dining and living spaces makes the forest behind the home visible during the day and glows like a lantern after dusk. At each end, solid pavilions contain the guest and master suites, providing privacy from the road below while opening up to the forest behind. 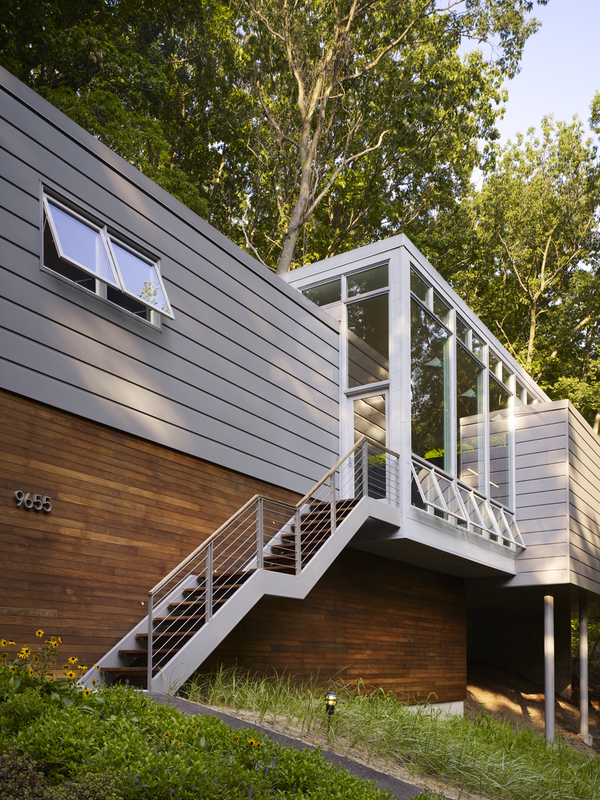 A floating stair provides formal access to the center pavilion, while an interior stair concealed behind a rainscreen wall connects a one car garage and mudroom entrance. 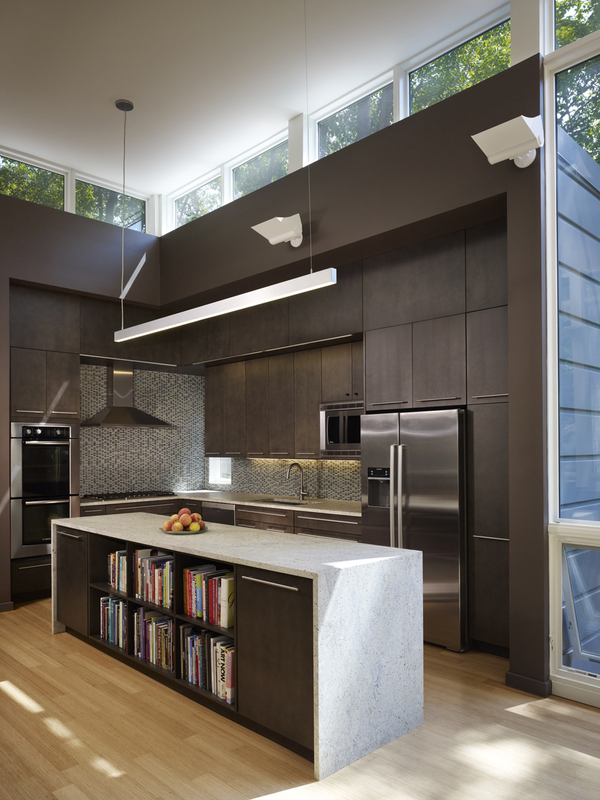 Because of its prominent position, the kitchen is recessed into an alcove created by the overlap of the east and center pavilions. Sustainable design strategies; including radiant heating, natural ventilation, and high-recycled content material selections; balance comfort, economy, and visual clarity.